We would like to thank EVGA for supplying the review sample. 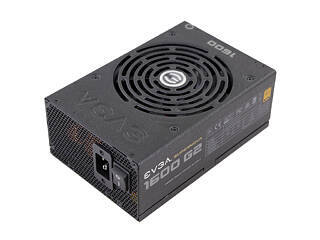 EVGA's marketing team is on fire lately, with all these new PSU releases. They clearly put much effort into PSUs and truth is, they have managed to earn a very good place inside this very difficult market segment, and with it, the fame. 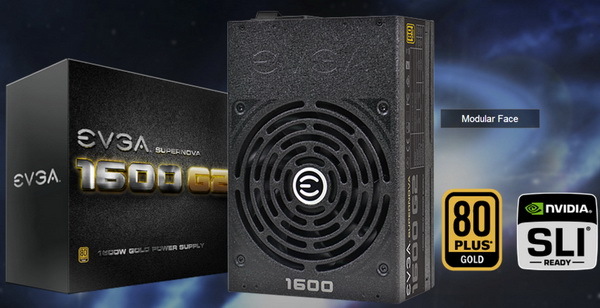 As we already stated in previous reviews, EVGA was smart enough to team up with Super Flower, one of the most promising PSU OEMs today, which endowed them with the ability to offer high-performing products at affordable prices. Especially their G2 line features a killer price/performance ratio. So far, the strongest G2 unit had a capacity of 1.3 kW, which is not the case anymore as today's unit with an additional 300 W has taken the lead. The fresh G2-1600 is based on a top-notch design by Super Flower, making it one of the few units with the ability to offer up 1.6 kW with even 115 VAC input. Not only will its monstrous capacity cover the needs of running multiple ultra-high-end VGAs at the same time since the unit also features a fully modular cabling design, a single +12V rail that can easily start a truck, Japanese capacitors for a prolonged lifetime and extended reliability, and the same appearance as other G2 units, which will appeal to some, but not all. The G2-1600 is, without a doubt, a very interesting unit not only because of its huge capacity since it can even deliver its full load at up to 50°C ambient with incredible efficiency, which is a difficult feat with such a strong unit. But the G2-1600 is getting anxious to meet our Chroma loads. so let's end the prologue to cut to the chase.